In 2010, Norwich will be celebrating 200 years of existence. To prepare for this celebration, the Norwich Archives have been featuring two or three founding families of Norwich in their newsletter since last September. These pioneer families are commemorated in a plaque located at the Pioneer Cemetery on Quaker Street. 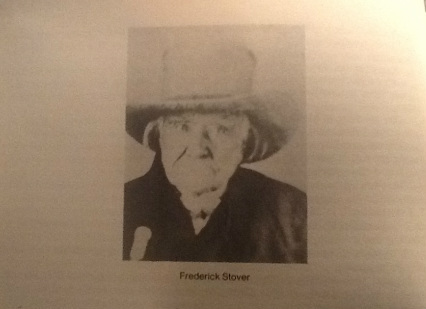 Although the “C” families are now being featured, the Stover family will be mentioned to coincide with Black History Month due to Frederick Stover’s assistance in aiding escaping slaves to settle in Norwich. To fully understand Fredrick Stover’s zeal in aiding slaves, one must have knowledge on Quakerism. Formed as a youth movement, Quakerism began in England in 1647 by George Fox. As a young man of 19, Fox believed everyone is guided by an “inner light” to have direct contact and identification with God. As a result, in the early days of Quakerism, followers were called “Seekers”, “Waiters”, or “Finders” and eventually “Society of Friends”. The term “Quaker” was coined in 1950; when Fox warned Justice Gervase Bennet to “tremble at the word of the Lord” the Judge angrily called Fox and his followers “Quakers”. Fox preached about his doctrine of “inner light”, he denounced formalized religion particularly Presbyterianism; he objected both political and religious authority, opposed war, the oppressed and slavery, and believed all humans are equal. Despite attracting many converts to his preaching, especially among the lower middle class, Fox was persecuted by both civil and religious authorities. As a result, Fox was in and out of prison for the remainder of his life. His longest jail sentences were two years, from 1664 to 1666 and from 1673 to 1675. Following his release in 1666, Fox devoted his attention in organization a Church for the Quakers. With the help of Margaret Fell, who would be his wife in 1669. The headquarters was located at Swarthmoor in Westmorland, Margaret’s former home. The Stover family were one of the early settlers of Norwich who helped to lay the foundations of Norwich and are responsible for its present day prosperity. In 1811, Following the death of his wife Mary, 64 year old Adam Stover travelled to Canada by ox-train from Dutches County New York State to settle in Norwich. Adam asked his seven adult children to accompany him to Canada. Those who chose to remain behind, he promised to pay them $500.00. Adam’s two sons, Henry and John decided to stay while his other children, Michael, Frederick, Adam Jr., and daughter Mary and son-in-law Peter McLees travelled to Canada. Adam Stover bought five thousand acres of land for two thousand dollars from Peter Lossing and Peter Delong in Norwich. Each son received 1000 acres while his daughter and her husband received 500 acres of land. Being Quakers, the Stover’s left their native land to make a peaceful life in Canada. The Stover Homestead was located where Clyde Street is now. The Stover’s planted twenty-five acres of orchard apples, which extended from Washington Street to Clyde Street on the north side of Elgin Street. Being peaceful people, Quakers do not believe in violence so they refused to pick up arms during the Civil War in the United States of America. As a result, they were often persecuted and endured ridicule and violence from their neighbours. The Quakers also believe that all men are created equal, and had concerns for social reform and education. As a result of their hardships, Quakers became a closely-knit community offering support to each other. In 1926, Dr. Carter Godwin Woodson (1875 - 1950), a noted black American Scholar and Historian and son of slaves, chose February as Black History Month. February coincided with the birthdays of Frederick Douglass - a black freedom fighter who helped slaves escape (February 14) and U.S. President - Abraham Lincoln who freed slaves with the Emancipation Proclamation of 1863 (February 12). Since 1996, February has been designated as Black History Month in Canada; it is now celebrated throughout North America. The purpose in celebrating Black History Month is to educate the public on the contributions black people have made in Canadian society, as well as retelling their stories of struggles, triumphs, and accomplishments.